A- Thanks so much for your question Quentin. You’re right, they’re very special and I can’t believe I’ve forgotten to mention that we’ve seen spotted black grouper on most dives! It reminds us of the Kermadecs, and it’s lovely to see these big giants here as well. Mostly they are lurking under arches or overhangs, and we seem to only see one at a time, whereas at the Kermadecs we were seeing two or three on a dive. 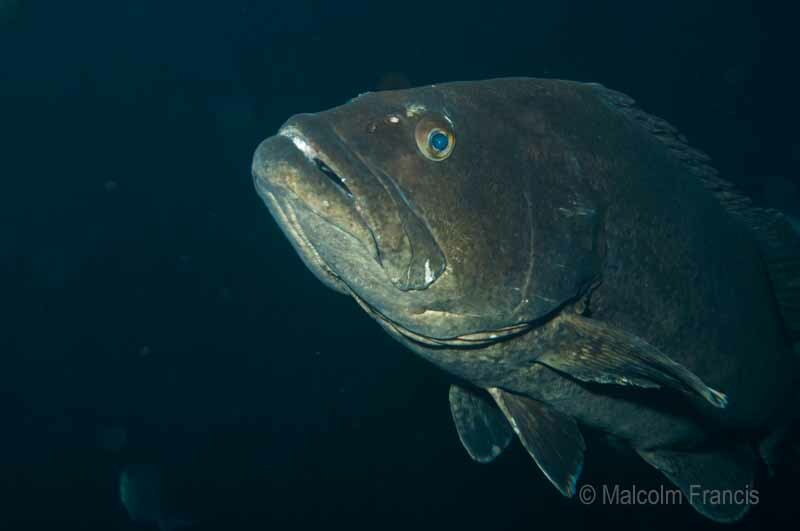 Here is one of the grouper that Malcolm has seen and photographed. This king fish is the biggest one I have ever seen.